When going to a big event, it is always important to arrive in style. You want to make a grand entrance and ensure all eyes are on you! And there is no event that is more important than your wedding day. Thankfully there are lots of fantastic wedding cars that can make this easy for you. After all, you can’t deny how impressed your guests will look when you stroll up the wedding venue in a glamorous vintage style car. If you are seeking wedding car hire, then take a look at the top five vehicles you should consider. This car is the perfect blend between contemporary and vintage. It has all of the modern mechanics needed to ensure a smooth and reliable journey, yet it has an old school vibe, which is glamorous and elegant. In fact, the car is often associated with being a fairy tale wedding vehicle. This car can surely make your fairy tale a reality, as it is the perfect icing on the cake to a fantastic and memorable occasion. This is the ideal car for those who want something grand, contemporary, and striking. This is the type of vehicle the rich and famous step out of when they attend big events. And the great thing about the Mid 90s Mercedes Limousine is that it can fit up to seven people inside. Therefore if you have several people you want to ride in the car with you (or a really big dress) then this is the ideal car. The Austin FX3 is ideal for those who have a taste for quirky vehicles that are filled to the brim with personality. After all, the car is actually a taxicab. During the 1950s loads of these black cabs were built for London use. If you are looking for something different with that lovely vintage quality then the Austin FX3 is a great choice. 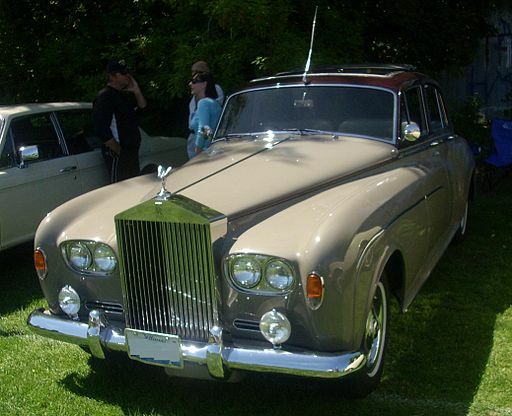 Striking and dazzling; just two words that describe the show-stopping 1962 Rolls Royce. This vehicle is a vision of sheer beauty. The vehicle’s style is unique and is one that instantly captures the attention of anyone who passes by. The silver colour beautifully compliments the style of the car, adding a lavish and extravagant edge. And last but not the least; we have the 1930 Austin Laundelette! When you see this car you will feel as if you are taking a trip down the memory lane. Most wedding cars boast the vintage quality, yet no other vehicle possesses so much relation to history through the mere design as this one does. Take a trip back in time to the glamour of the past with the 1930 Austin Laundelette. The five cars mentioned in this article are assured to make a big impression on your wedding day. Just make sure you hire from a company who recognises how important your big day is. After all, it would be nice to be met with a glass of champagne upon arrival! What You Need to Consider before Buying a Cargo Trailer?